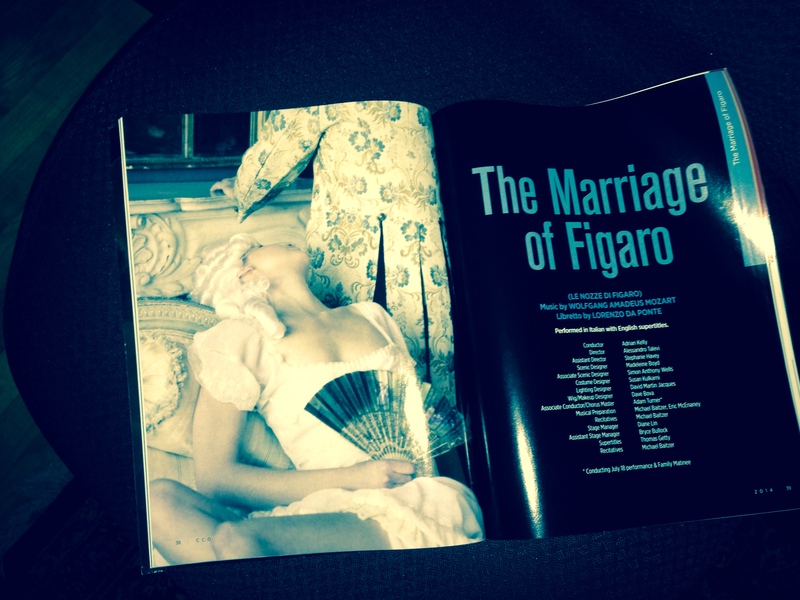 Yesterday I was lucky enough to attend Central City Opera’s rendition of “The Marriage of Figaro.” As usual, their production was wonderful, the voices great, the energy level high. I knew I was going to like it as soon as I heard Michael Sumuel, bass-baritone, singing on the trailer, and he lived up to expectations. Another opera lover described his voice as sitting in a cup of Earl Grey tea!The other baritones in the opera were all enjoyable and Susanna, soprano Anna Christy, was also great. What I love about the Central City opera company is that they cannot only sing, but most are also credible actors, which makes the silly opera stories that much more enjoyable. While listening to the singers, I started mussing about how story and music interact and how this relates to literature. Many operas have rather silly plots, with characters dressing up as someone else, or hiding in spots where no person could really hide. In the dramas, everyone seems to die. A lot of the plots are eerily the similar. Many of them are based on the same play(s)–The Marriage of Figaro and The Barber of Seville. A number of Shakespeare’s plays are represented. For instance, Verdi operas include Macbeth, Otello, and Falstaff. Both Gounod’s Faust and Boito’s Mephistopheles are based on Goethe’s Faust. Although not universally true, most composers did not write the librettos for their own work. Often the librettist was a well-known poet. 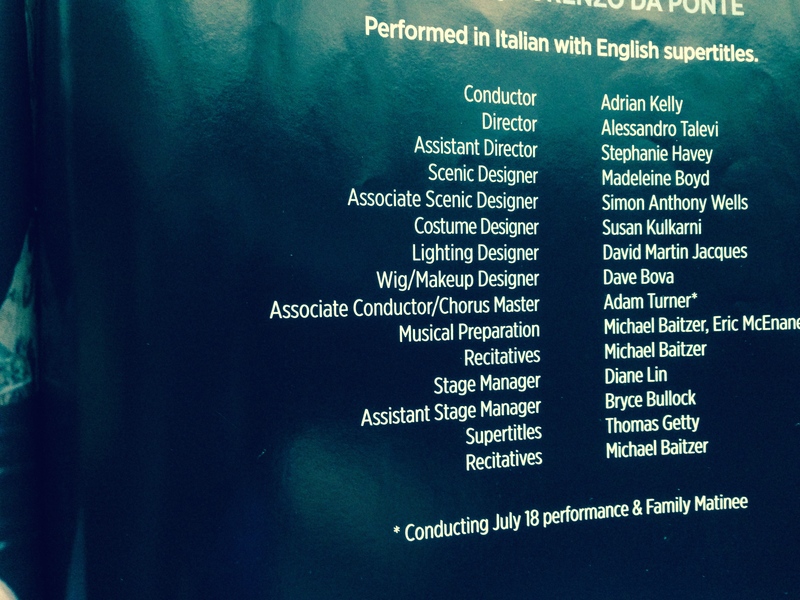 I suspect that most people, like me, do not have the slightest idea who wrote the words for the operas they like. The score is what is usually well known and loved, although when examined, librettos often contain wonderfully evocative phrases. 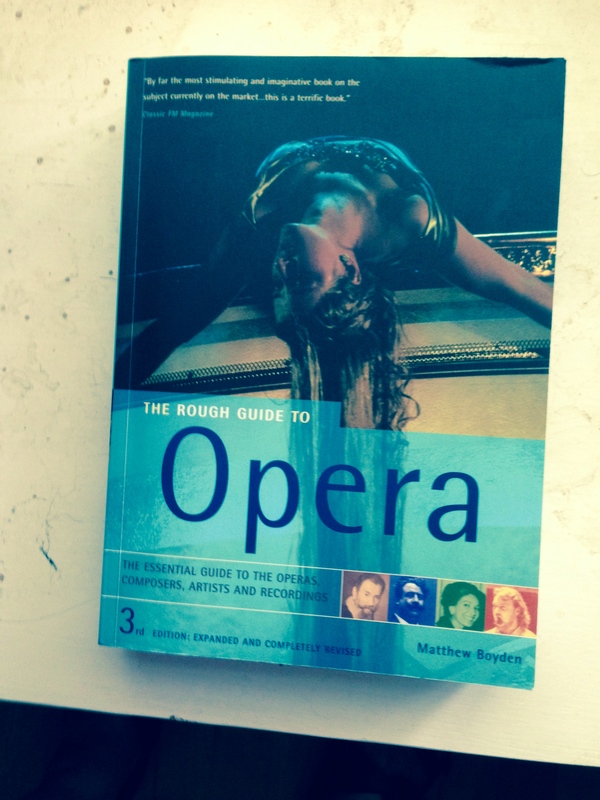 My thought while listening yesterday afternoon was that the music of opera can often be like the prose in the most lyrical of literary fiction, often covering up the faults in the storyline. Or, like the best poetry, the music evokes a feeling and the listener is less concerned about the plot making sense. Reference book used to verify the ideas in this post.